Imagine you are five years old. You leave your small home made of discarded materials your parents scavenged. You are bundled up because it is cold. There is no food to eat. You make your way down grey, muddy paths on your own. Then you arrive at the Las Lomas Centre. You push through the red gates and walk towards the bright yellow building. It looks to you like a ray of light. Inside, you know you’ll find warmth and be welcomed by your caring teachers. You’ll hear laughter spilling out into the halls. And you’ll smell a fresh meal being made – a gift sent by a generous Canadian donor. You feel safe now. You feel happy. What I’ve asked you to imagine a real story. My name is Shirley Estévez Villazón, and as the Country Director for Canadian Feed The Children in Bolivia, I see the impact that Canadian donors have on children every single day. Our generous supporters have been a ray of light to so many children living in poverty. Like you, I believe that all children deserve to learn and play in a safe and warm environment. I believe that children deserve good nutrition, too. But I also know that so many children living here in Bolivia and around the world are not given these basic necessities. Just last month, in the weeks before Christmas, I visited a child named Lusmila whose life has been transformed because of generous Canadians. 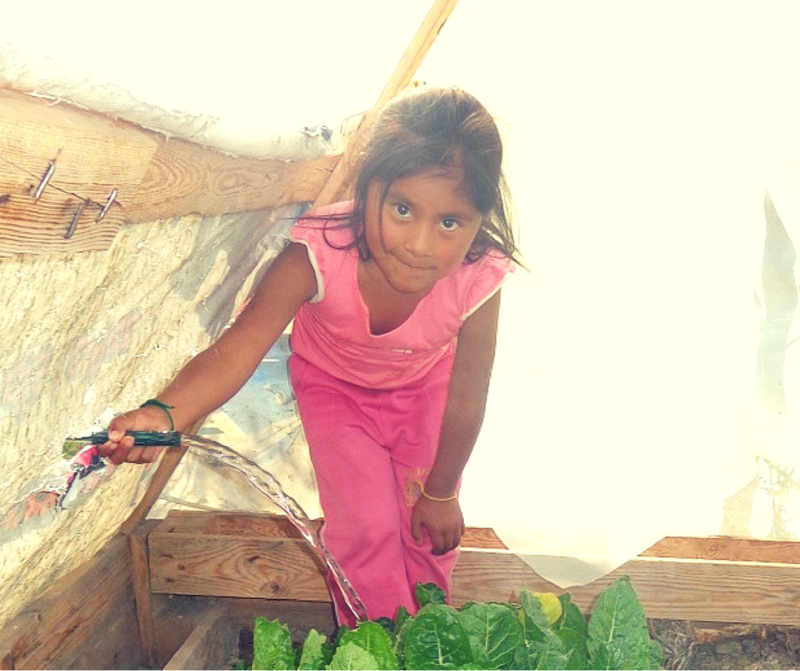 Lusmila is a sweet five-year-old girl who lives in Los Lomas with her older brother and two hardworking parents. She loves her pet dog and she likes to paint. But Lusmila has also had a hard childhood. Her parents have only been able to find jobs that are unsafe, low-paying, and require long hours away from home. They struggle to feed and care for their two children. When I sat down with Lusmila and her mother, I could hear the relief in her voice when we talked about caring Canadians who donate to help families like hers. Lusmila now attends the Las Lomas Centre each day. She gets to walk through those red gates and run up to that bright yellow building. Lusmila knows that she can count on a healthy meal every day, and that she will be warm, safe and cared for. Her mother was also given training and supplies to start a vegetable garden at home. She has learned a lot about childhood nutrition from workshops she has attended. This has made a big difference to Lusmila’s health. Because of the support of caring Canadians, Lusmila has been given the chance to escape the cycle of poverty and have a hopeful life. You can be a ray of light to another child like Lusmila by making a gift today. Your gift will give a child everything they need to grow up safe, happy and healthy. As we begin a new year, will you give this gift to a child like Lusmila? Gracias – thank you, from all of us in Bolivia.